The 13ft Volcano Rush Water Slide has a out of this world look to go along with the wet fun it provides. 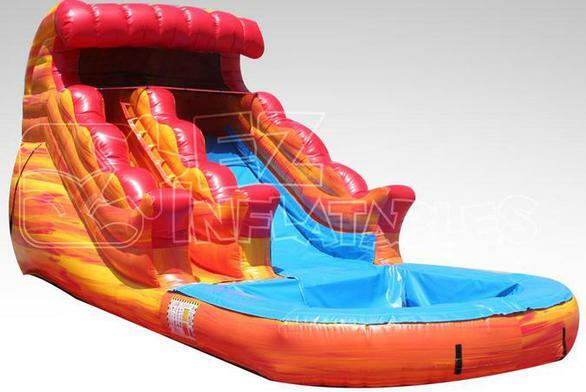 This 13 foot unit can be used as a water slide for hours of slipping and sliding fun on a hot day. 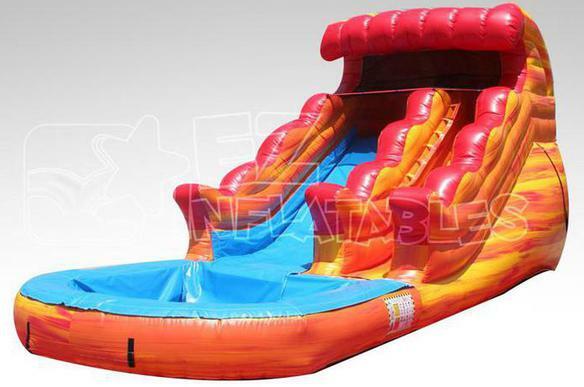 This slide is complete with a small pool, slide down the slide and splash safely in the pool of cool water! This slide is recommended for ages 6 and under!